This wall housed the leftovers from our last house that I wasn’t ready to part with. As a result, it felt a bit too dark, cramped and unbalanced. 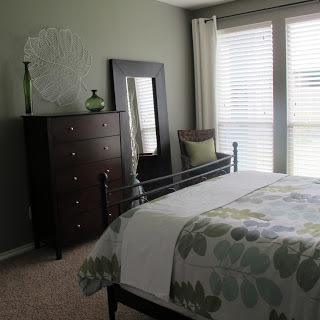 My plan was to clear out the tallboy dresser and mirror (oh, but I have plans for those too) and replace them with a long, low dresser with some kind of large-scale artwork above it. 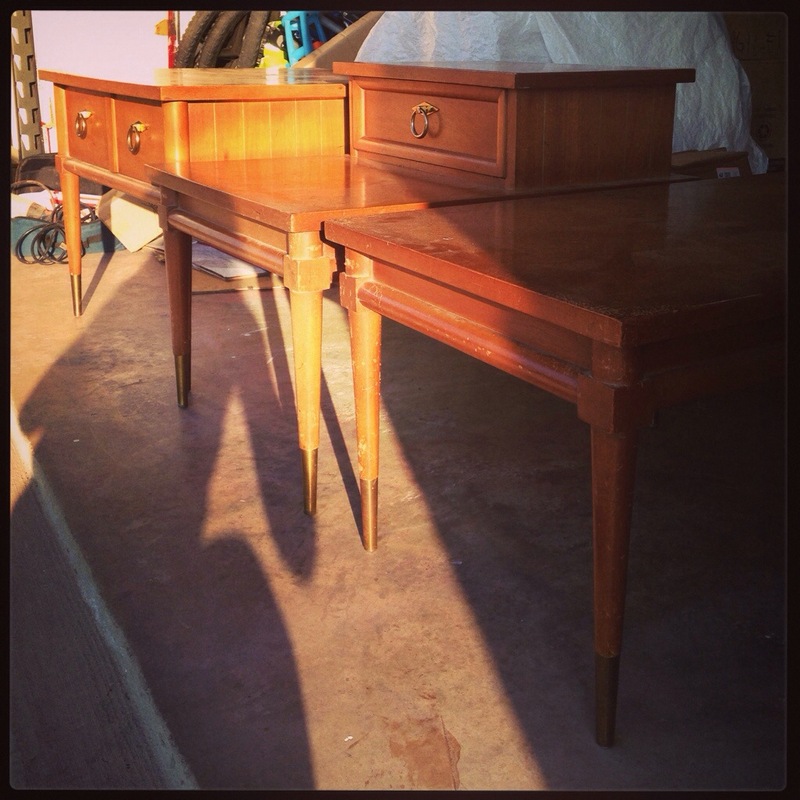 I was on the lookout for something with legs and mid-century lines that I could possibly paint white. To begin the hunt, I frequented various thrift stores in an attempt to find something appropriate… but no luck. 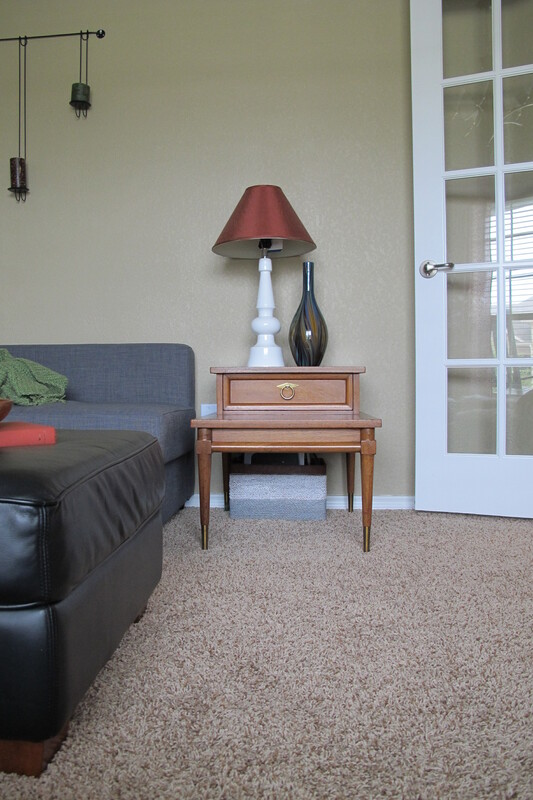 I searched on Craigslist, but every item of interest that I inquired about was already sold. 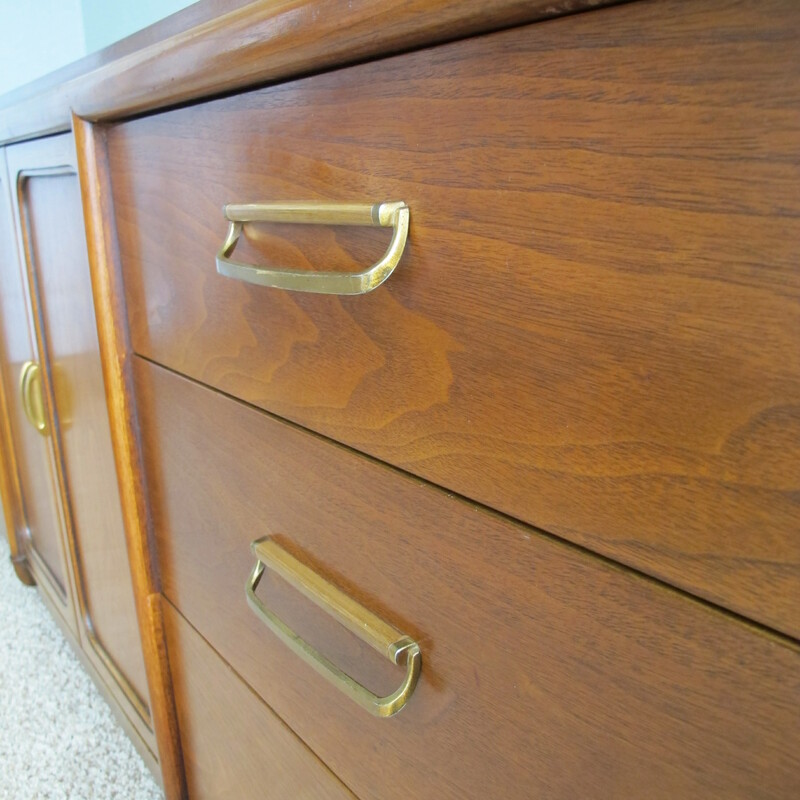 Apparently, mid-century modern stuff gets snatched up fast. Let me tell ya. 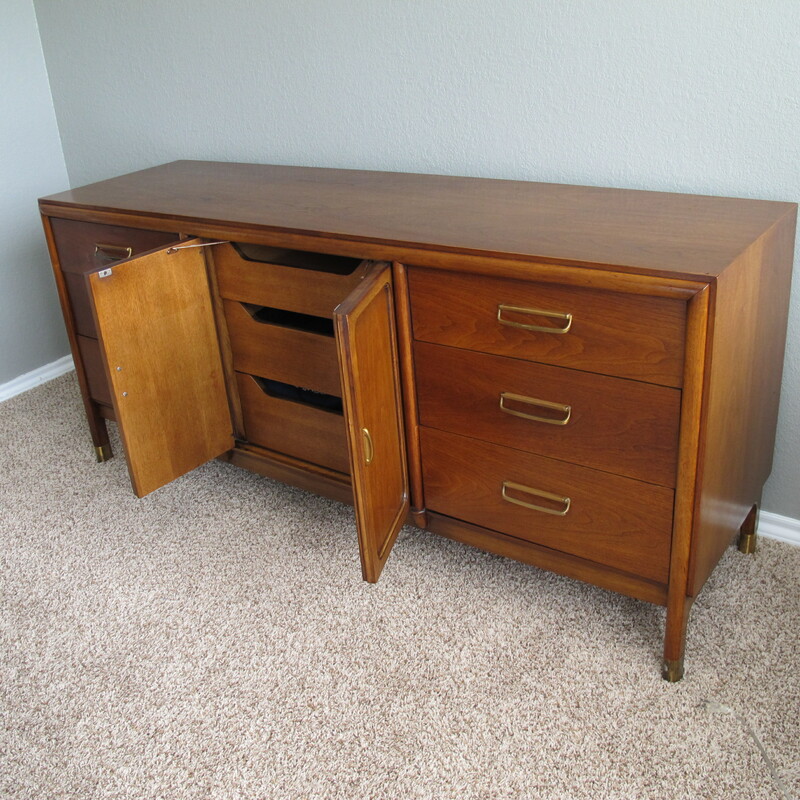 Then, there was an unfortunate incident involving a woman who listed a stunning mid-century modern dresser set (two dressers and an end table) for 75 bucks. Upon seeing her ad, I literally leapt across my desk, scrambled for my phone, and misdialed twice in an attempt to call her as I was in such an excited tizzy. I mean, the dressers were EXACTLY what I was looking for. Mid-century modern. Great shape. Gorgeous. I wasn’t necessarily in need of the entire set, but they were so beautiful and the price was so low, I figured I’d use them somehow. Miraculously, I was the very first caller. 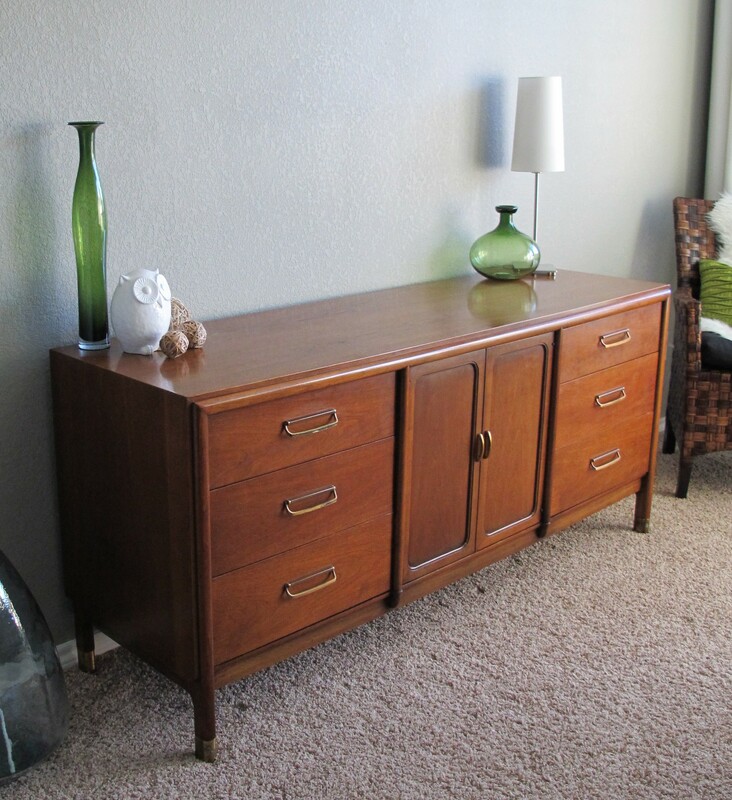 The seller happily agreed to sell the dresser set to me and said that I could pick it up the following day. I. Was. Elated. I couldn’t believe that I’d gotten it. That such perfect furniture could be mine. I was on cloud nine the rest of the day. After speaking with Joey to nail down an exact time (which I’d discussed earlier with the seller) I called her to confirm. And she didn’t answer. Oh no. After several hours of staring at my phone, I texted to let her know that we could come out earlier if that was more convenient for her. I was absolutely devastated. 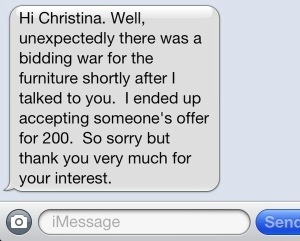 Had she simply called to ask if I’d be willing to beat his offer (being that she’d already promised the furniture to me. Remember?? FIRST CALLER. ), I would’ve responded with a resounding “YES!!! 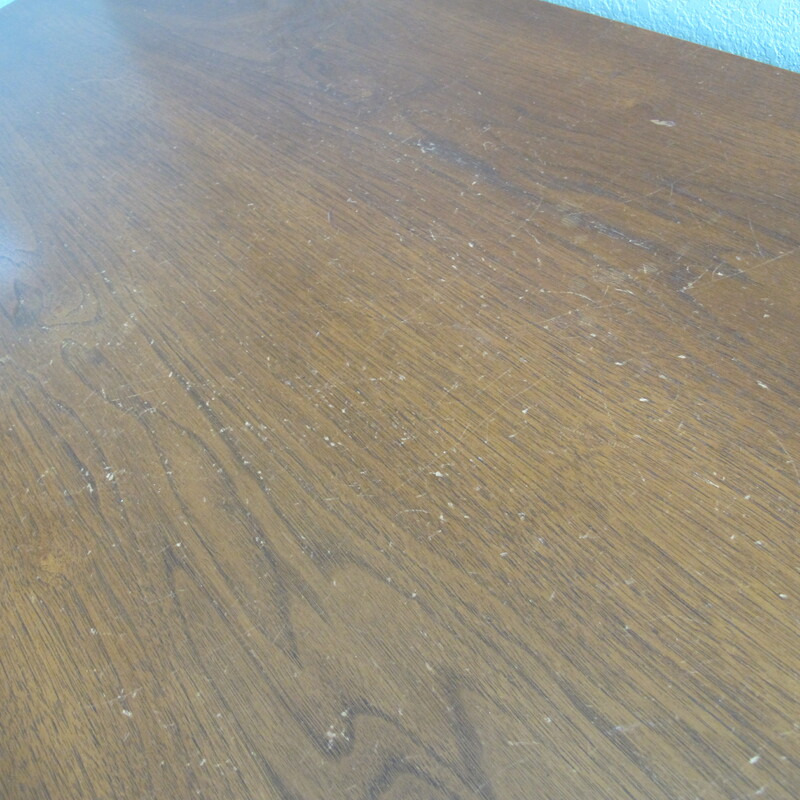 !” The furniture was THAT good. I would have gladly shelled out 225 beans for it. And that’s saying a lot for a cheapo like me. But the set was already sold and gone by that point. I wasn’t even given a chance to compete. The final twist of the knife came the next day. 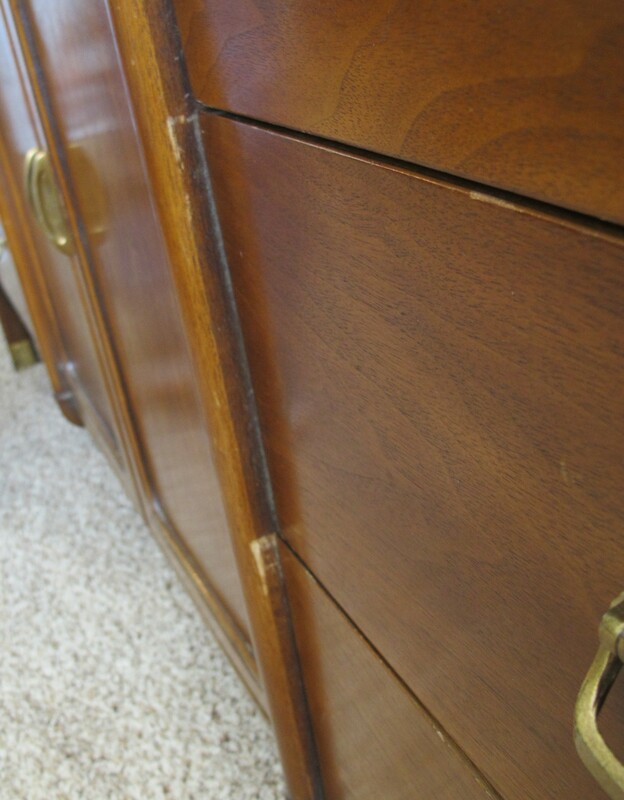 I happened across an antiques website that was selling ONE of the same exact dressers. For $1200. (Insert yelp of pain) Ughhhhh. But I guess that’s the downside of Craigslist. People aren’t always fair. So, I kept on trucking. 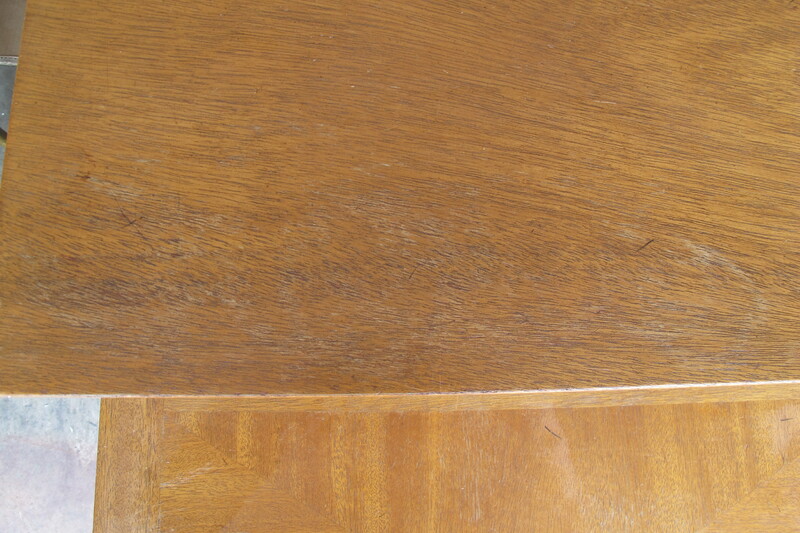 I drove an hour and a half to look at a dresser that was marketed as “solid wood” but low and behold, it was veneered (Ie: can’t refinish. And it really needed to be.). On the way home from that guy I called another seller who I’d been in contact with and set up a time to look at her dresser 45 minutes from then. …And we pulled up to her house just as another couple was loading the dresser into their car. (Oy!!) A heads up that she had another appointment scheduled at the same time would’ve been useful. We wouldn’t have even wasted our time driving out there. Over the next few weeks, I contacted several more sellers to no avail. And then I became melodramatic and drowned my sorrows in chocolate chip cookies. 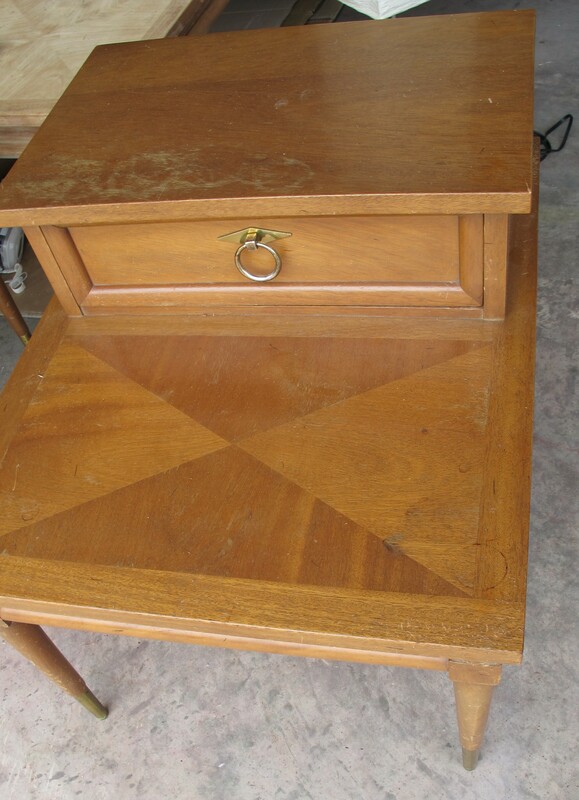 Now, I’ve had some great experiences with Craigslist (as described here), but this time around, Craigslist nearly had me doubting the fate of humanity dressers. Wood mid-century modern dressers had morphed into these mythical, unattainable creatures in my mind. Do they really exist? 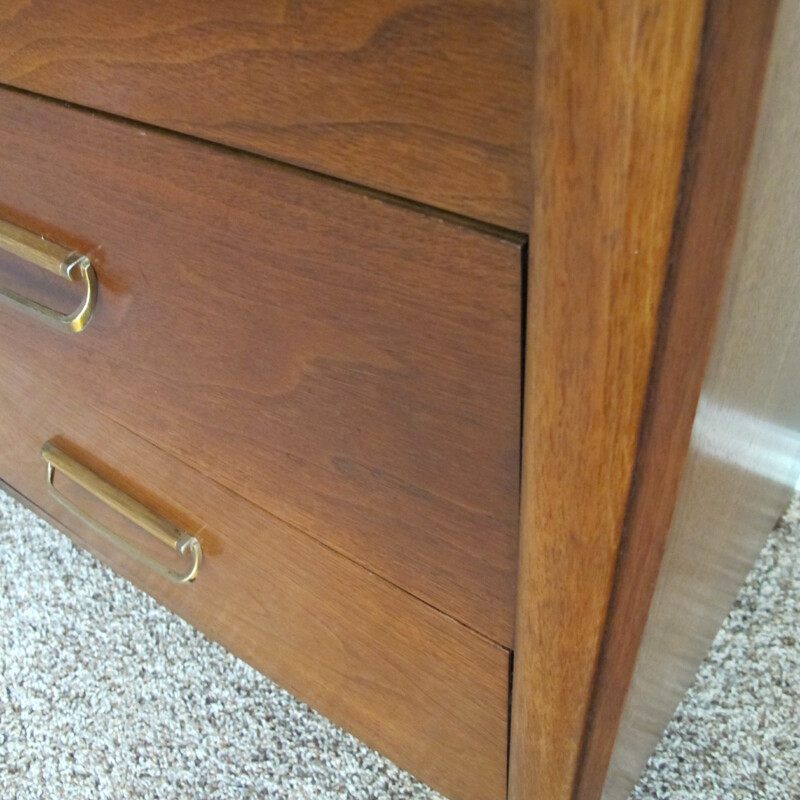 Or are they the unicorn of dressers? Did I imagine them? Or are they really earthly beings? Straight lines. Mid-century modern. Legs. All of which is was looking for. 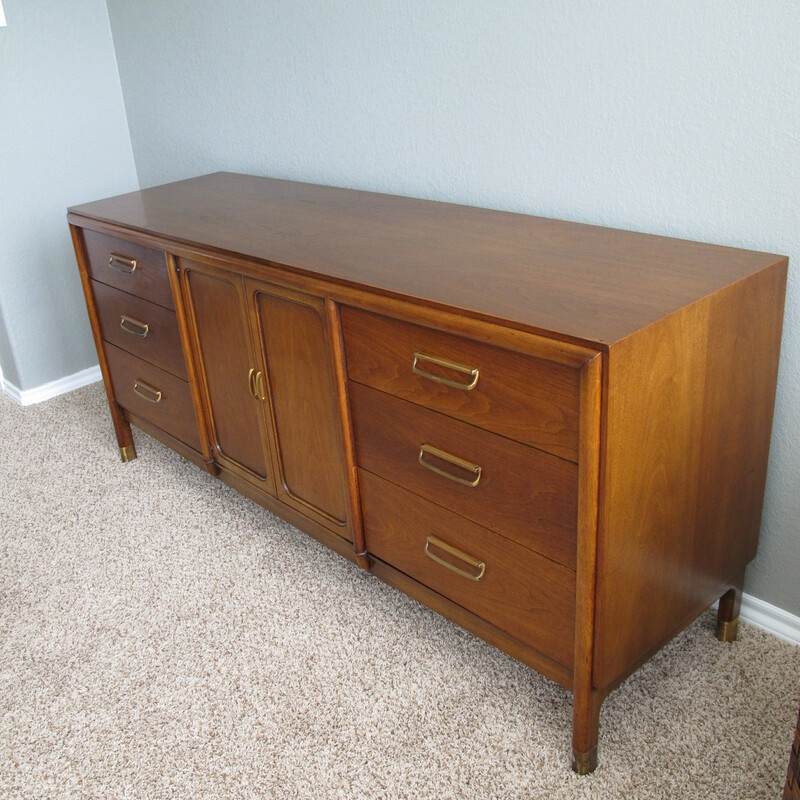 Even though the set was way out of my price range, and was a set… which I didn’t need all of, I emailed the seller to see if she’d be willing to sell the dresser separately. She responded that she’d rather sell it as a set but would keep me in mind if it didn’t sell. 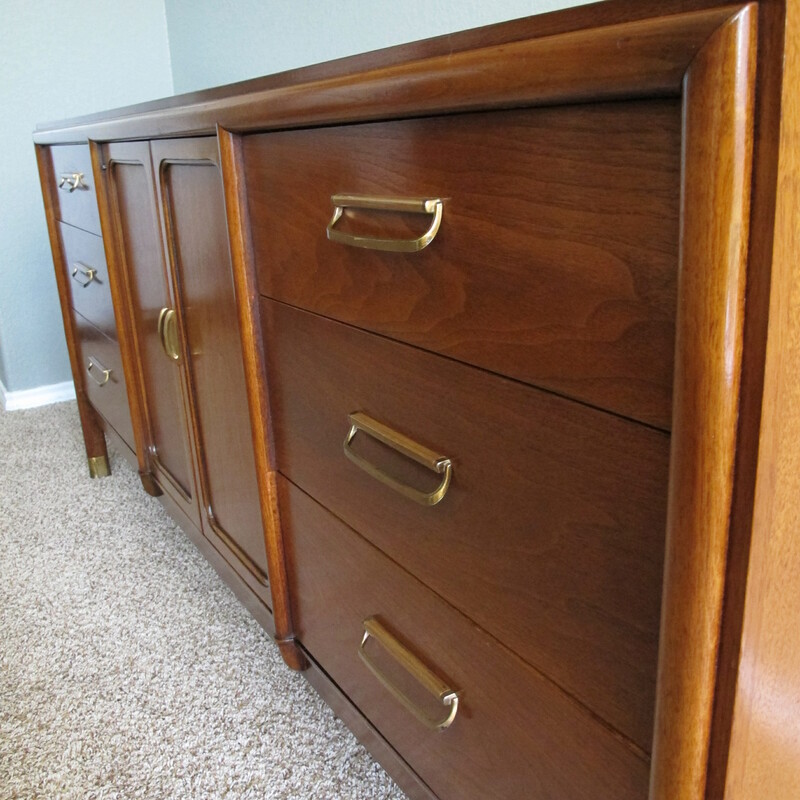 I wrote back that I really appreciated it and would be sure to give the dresser a good home if she reconsidered. The next day, she emailed that she would sell the dresser to me for $350. Boo. Still too expensive. 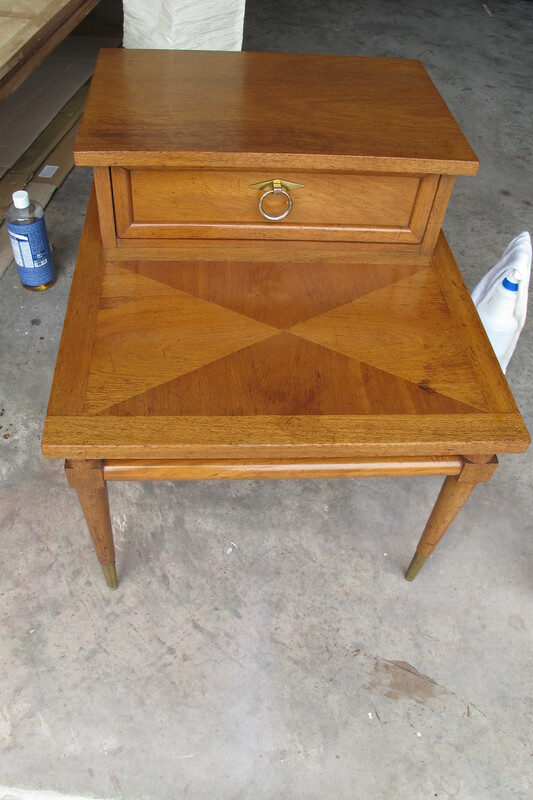 I told her that my cap was $150 and that I understood if she wanted to sell it elsewhere, but that I would love the dresser and treat it like a member of the family if she sold it to me (…Yes, I’m that dork who proclaims these things to perfect strangers). Then, I put the dresser to bed in my mind. I figured it wasn’t gonna happen. Thank you, dear lady for restoring my faith in Craigslist. And dressers. 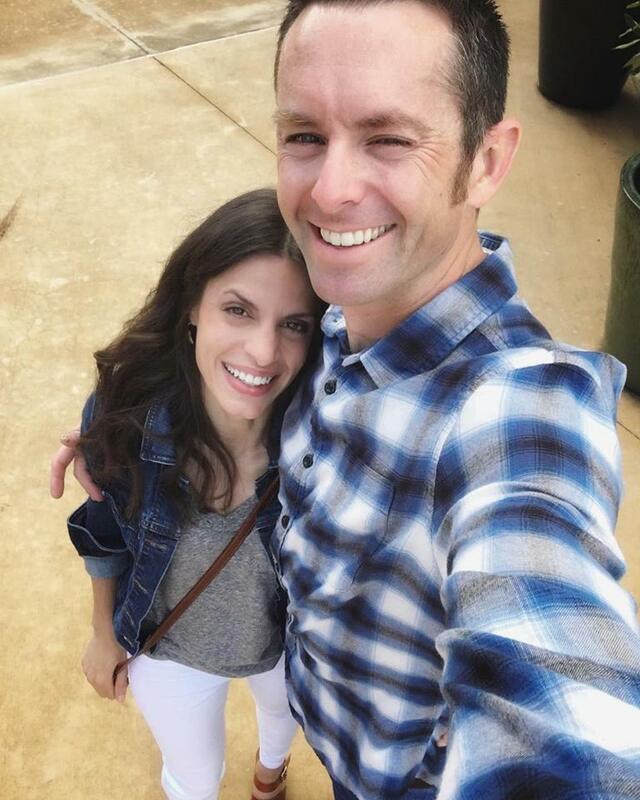 An hour later, Joey, Lucas and I met her husband at the address she’d provided. Turns out, the set belonged to his parents who had recently gone to live at a nursing home. 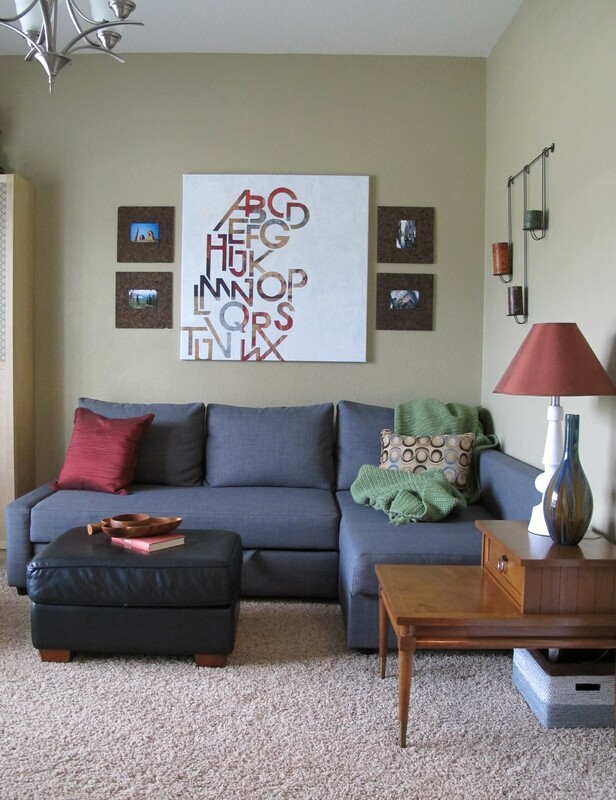 It was originally his grandparents set which they’d purchased in the 1950s and had passed down, but after his parents living situation changed, he had no space to keep it. 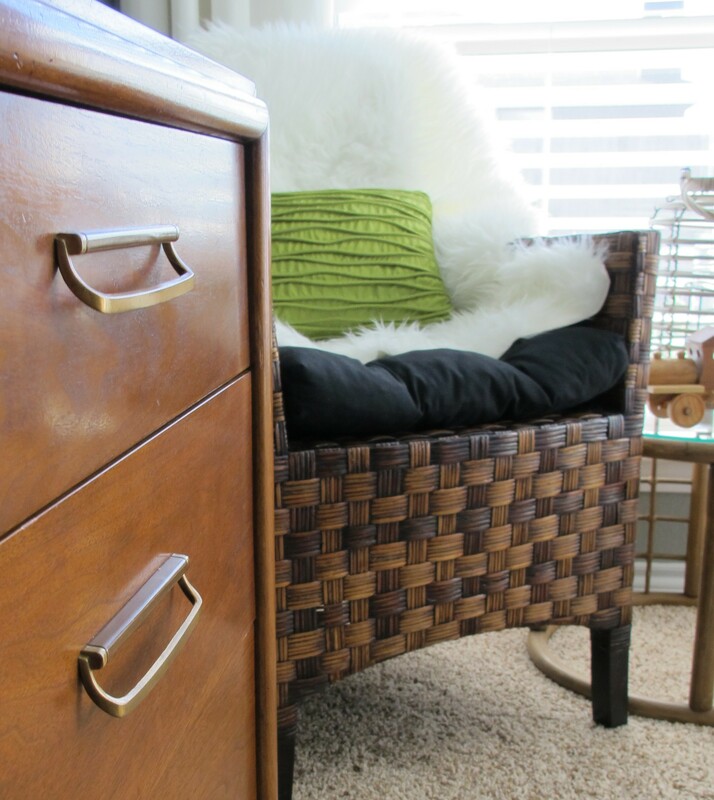 My initial plan was to paint the dresser white and spray-paint the brass accents oil-rubbed bronze, but once we set it down in our bedroom it was obvious that it needed to stay original. 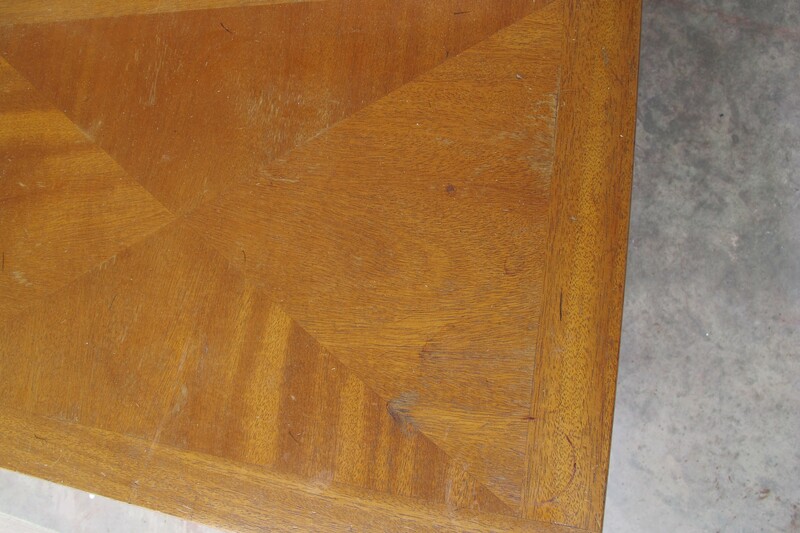 It’s in great shape with only a few nicks and superficial scratches. 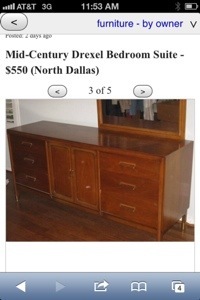 And it’s a crazy-heavy, antique Drexel. Not that I had any clue what that was before I spotted the ad on Craigslist. But now I do and can absolutely appreciate the quality and workmanship that went into building this glorious beast. 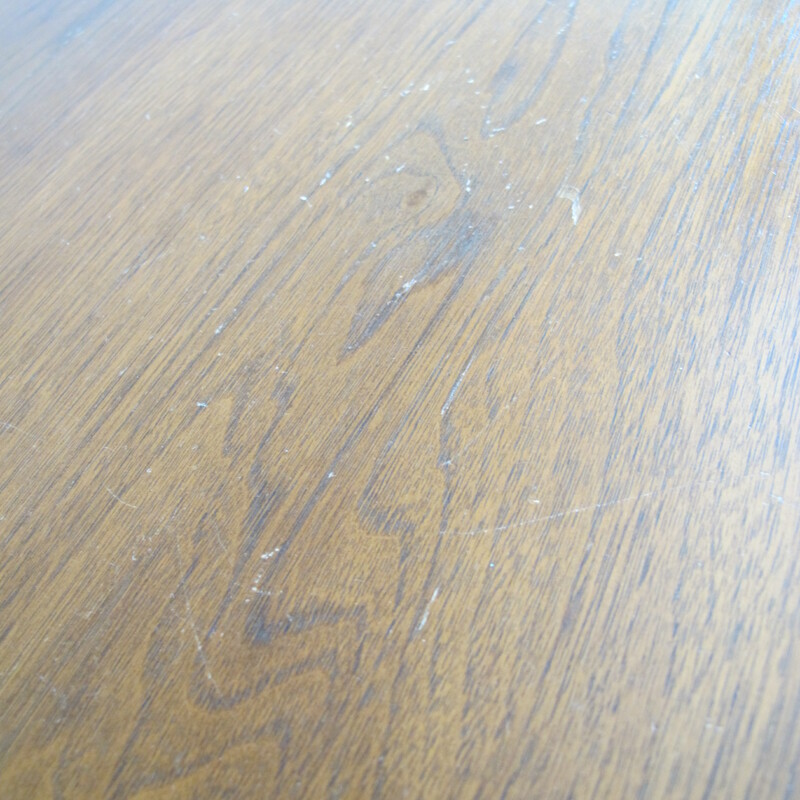 Having seen how nice the wood is close up, I don’t think I could’ve stomached painting it. 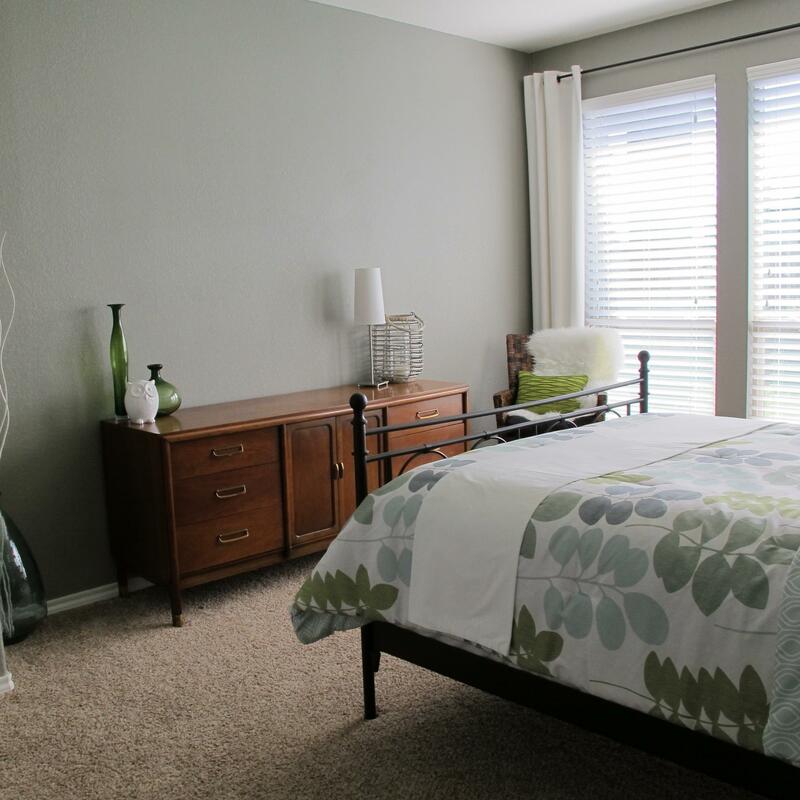 Plus, the warm wood tone looks great with the deep grey walls and the tarnished brass details play off of the other gold-toned accents in the room. So, we’re keepin’ it real. 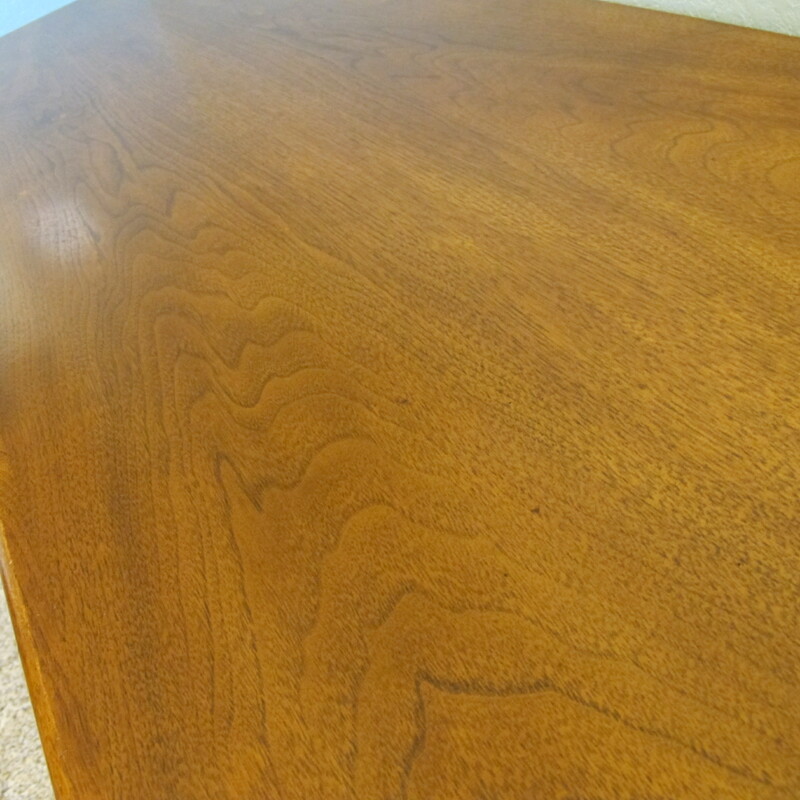 To spiff it up a bit, I used my favorite combo of Restor-A-Finish plus Feed and Wax to touch up the imperfections and add shine. 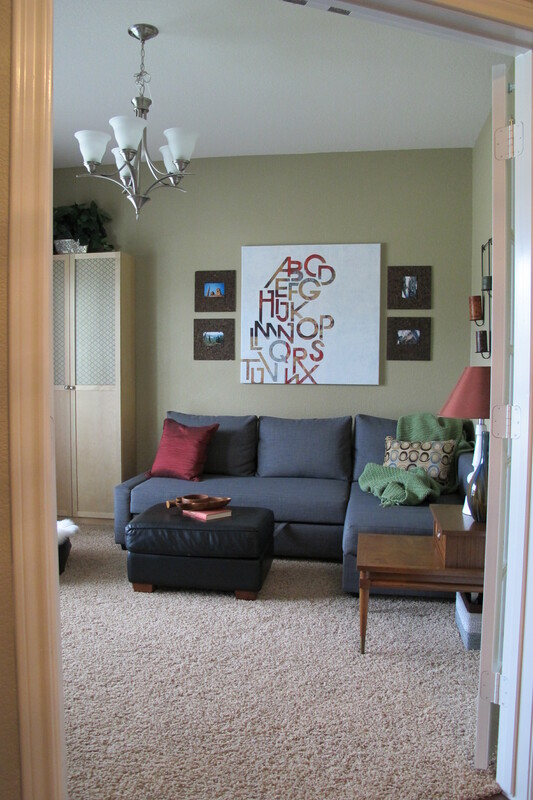 I originally learned about these products from this post on my favorite blog, Young House Love. 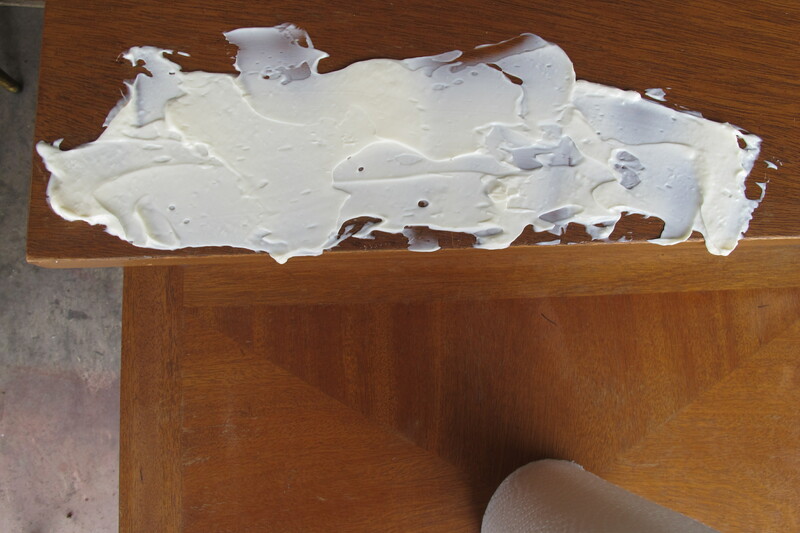 Since then, I’ve used this combo on our rattan coffee table and beloved desk chair with awesome results. And the dresser was no different. 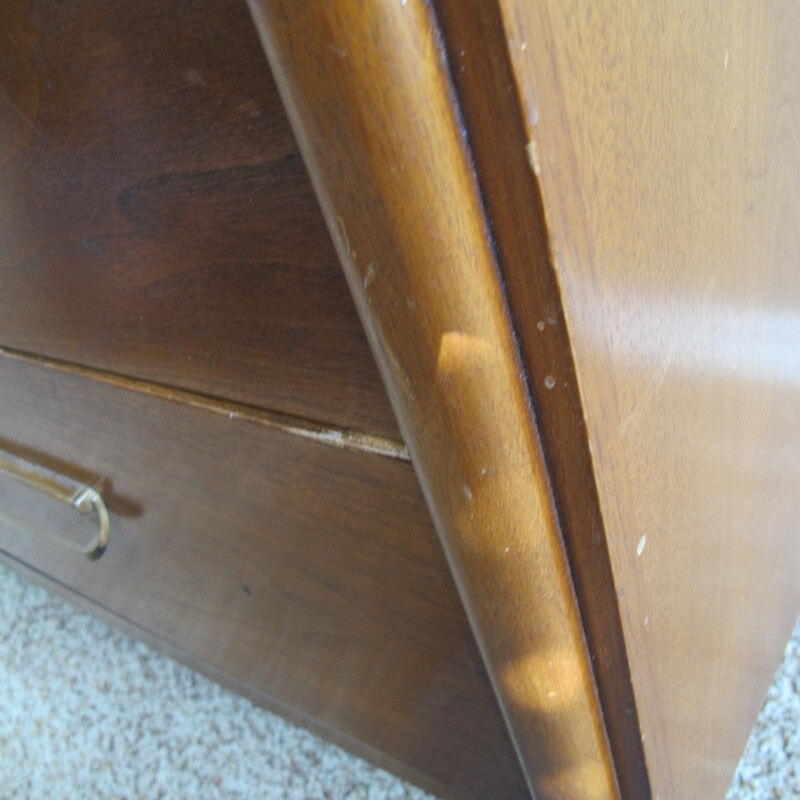 Here are some detail shots of some of the damage on the dresser…. 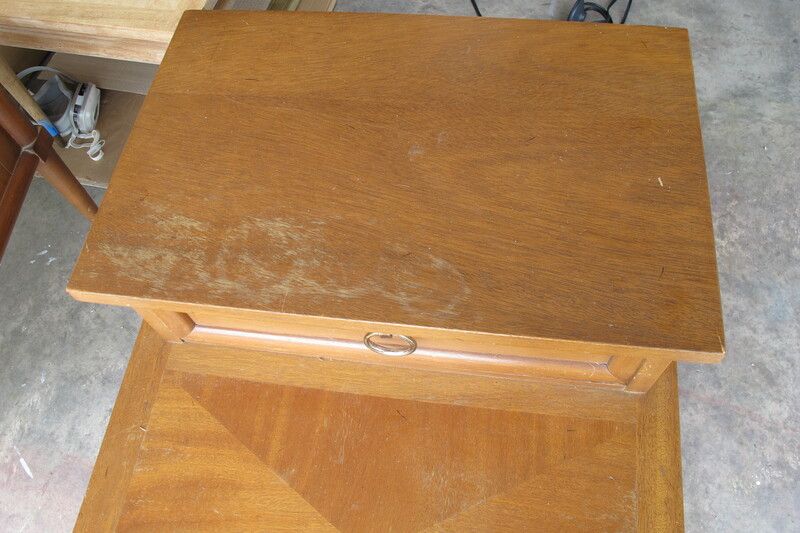 And here’s the dresser after using these products…. I’m in love. 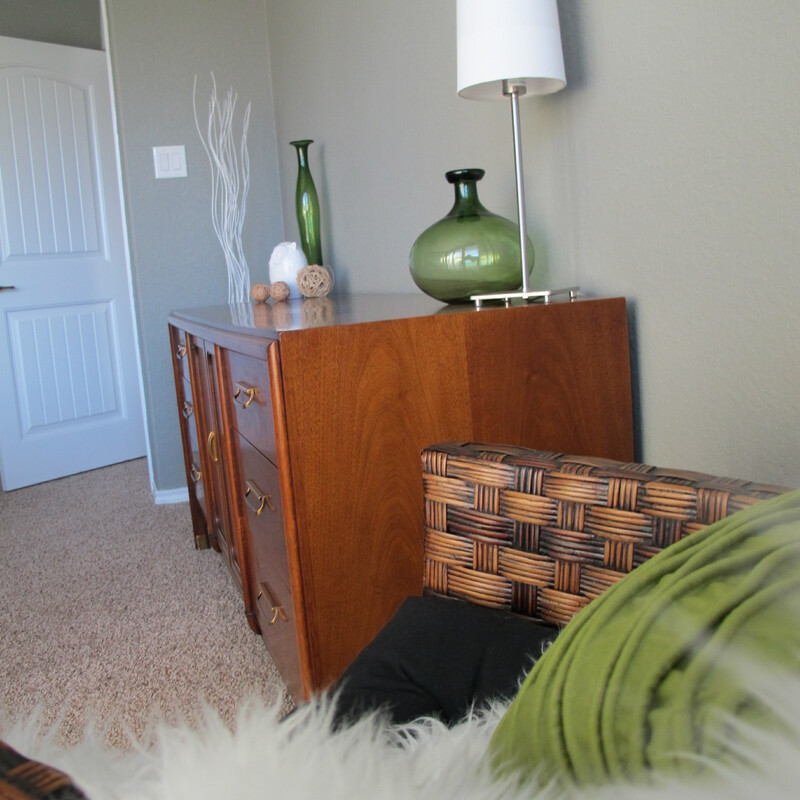 I feel like the dresser gives the room a mid-century-hotel vibe. It feels swanky, which is a new and very welcome feeling. I think our master bedroom should feel swanky. I still need to play around with the accessories (a lot). It’s feeling a a bit matchy and scattered right now, but it’ll get there. Then, I’ve gotta find/make some sort of large-scale artwork to go above the dresser (and possibly change out the chair for something sleeker), but I just can’t get over how much more spacious and open this side of the room feels already. So much less crowded. And you can see I changed up the accessories between shots (I just can’t help myself). One last thing that I failed to mention earlier is that the dresser came with a matching mirror. 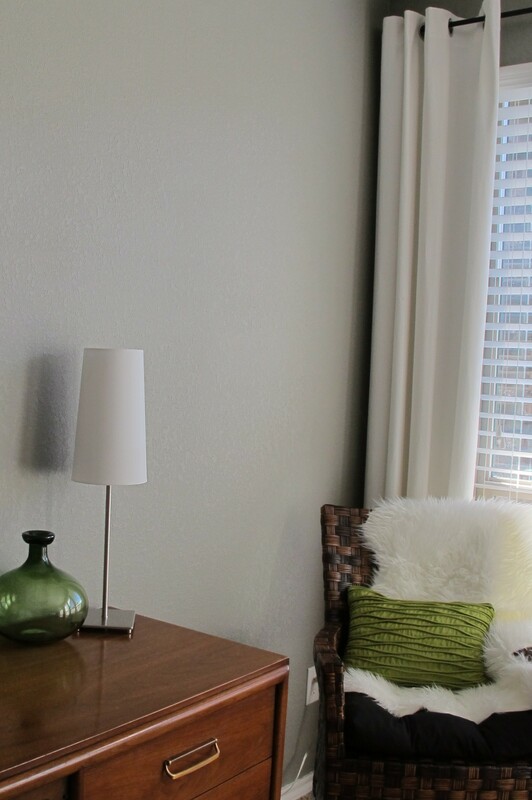 We opted not to use it as we already have the quadrefoil mirror above our bed and a full length mirror (which desperately needs updating) on the wall behind our door. Plus, I thought I’d get creeped out since that huge mirror would’ve reflected directly down the foot of our bed. I know this placement works for a lot of people, but I think I’m too jumpy for it. I just imagined myself waking in the middle of the night thinking I was seeing things in its reflection. As it happened, just as I was adding the finishing touches to this post, we sold the mirror via Craigslist for $80 which was a nice surprise. We’d actually hoped we’d get $60 for it, so we listed it for $80 to allow negotiating space… But the pretty lady thought it was worth $80. Which brings our total spent to $70. Not bad at all.